Primsoses are in out in abundance throughout the woods and all along the knarly old banks. Hazel catkins seemed earlier than usual this year, and their miniature electric pink blooms are always a treat to see when you take the time to look for them. The snow drops are already fading now after a magnificent flourish throughout the woods and gardens. Ramsons (wild garlic) are beginning to form thick carpets of luminous green along our verges and the woodland edge. 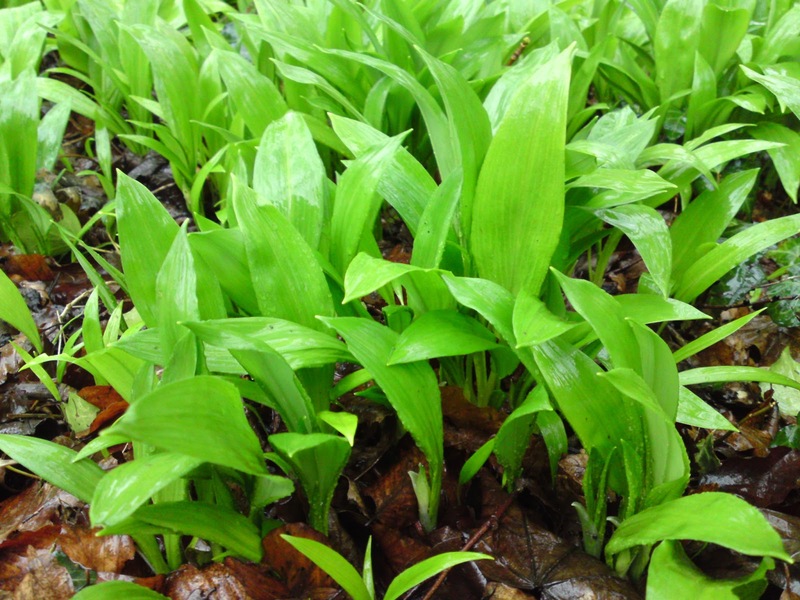 Ramsons have enjoyed a resurgence of interest in recent years, with many people gathering the soft young leaves to add to cooked dishes or salads, giving a mild garlic/onion flavour. 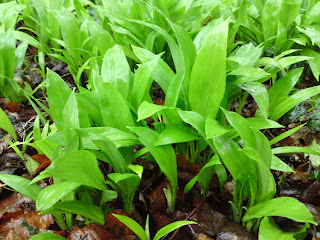 Like the bluebell, Allium ursinum often growns under trees, flowering before they come fully in to leaf, thus utilising the window of increasing light before they are shaded them out. They are often found alongside bluebells in ancient woodland, and there are folktales which tell of how they came to line the verges of our old roads. Some say that the romans legions bought the plants here from Italy and planted them by the road so that they could pick them as they marched from place to place.....an aromatic cure for homesickness! But not everyone views them so fondly....it is a very invasive plant, and once it has a foothold it is very difficult to get rid of - much like ground elder, edible but not always welcomed! 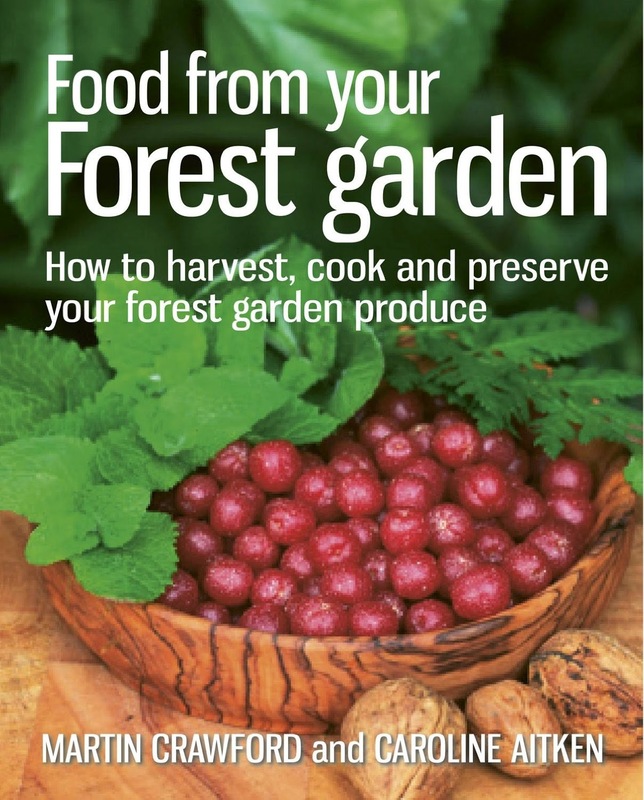 So if you do have Ramsons in your garden, you may as well make use of them, and the easiest way to capture and store that spring vitality and intense flavour, is to make a pesto. Pour the olive oil into a large jug (if using a stick blender) or a liquidiser. Add a handful of ramsons followed by the nuts, cheese and salt. Blend until smooth (or to the texture you like), then add more ransoms, a few at a time, until you have a thick paste. Taste the pesto to see if it needs more salt, then transfer it to sterilised glass jars or plastic storage container to be frozen. In jars it will keep in the fridge for up to two weeks, pour a little olive oil on top of the paste to form a seal and keep out mould. In the freezer it will keep for three months, and after defrosting will keep in the fridge for a week or two – remember to add oil to the top. Pesto can be stirred into pasta, used to flavour stews and sauces, or spread onto bread and grilled to make bruschetta. You can make a dairy-free version of this recipe by leaving out the parmesan and using cashews in place of or along side other nuts. When blended with the oil the cashews break down to become soft and creamy, giving the pesto a rich texture and flavour without the use of cheese.